2018 host country Portugal have enjoyed high ratings for both semi finals, the highest numbers reached in 10 years. 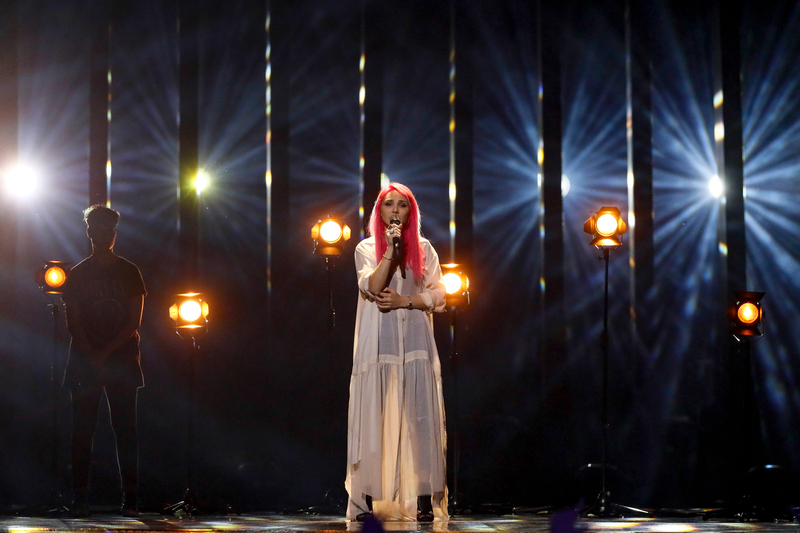 After receiving over a million views on Tuesday’s show where Portugal’s entry “O Jardim” by Claudia Pascoal was previewed, the second semi final saw a respectable average audience of 970,000. It had a 22.6% share of the viewing audience, being the most watched programme throughout the broadcast. Throughout the broadcast the programme had reached 2,300,000 viewers. Viewing figures for Portuguese broadcaster RTP were last this high when Vania Fernandes earned Portugal second place in the second semi final back in 2008 with “Senhora do mar (Negras aguas)”. Viewing figures for the Grand Final tonight are expected to be higher than usual as Portugal will be hosting the contest for the first time in history. Portugal will be performing in the 8th slot for tonight’s Grand Final, following Norway and before the United Kingdom. Cláudia and Isaura won Festival da Canção at the end of February. After a tie for first-place, they were declared the winners when the public vote took precedence. Their song O jardim will now be the first ever Portuguese Eurovision song to compete on home ground. Claudia Pascoal was born in 1994 in Portugal. The singer rose to fame in 2010, when she took part in Portuguese talent show Ídolos. In 2013, she participated in the first season of Factor X, and a year later she auditioned to become a host of Curto Circuito, finishing in 3rd place. She returned to participate in Ídolos for a second time in 2015, and also went on to compete in The Voice Portugal. Portugal debuted in the Eurovision Song Contest in 1964 represented by António Calvário, the country finished last scoring nul points. Prior to 2016, the best result of Portugal in the contest was 6th place. This 6th place came in 1996 when Lúcia Moniz performed “O meu coração não tem cor” on stage in Oslo, Norway. She scored 92 points receiving 12 points from both Norway and Cyprus. Since their debut in 1964 Portugal has missed a total of five contests, the latest being in 2016. After their spectacular win last May, in Kyiv, Portugal will host the 2018 edition of the contest in the capital, Lisbon.